Innovative drying process has your rooms dry in minutes. This machine significantly reduces drying time of carpets, walls and ceilings. Ideal for use after floods, spillages or extraction cleaning. 360° directed air flow allows rooms to be dried without re-positioning dryer. 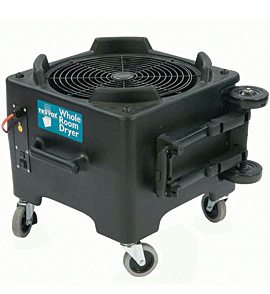 Heavy-duty castors position unit at optimum downdraft™ height. High density polyethylene housing for durability.